Washed cotton cap. 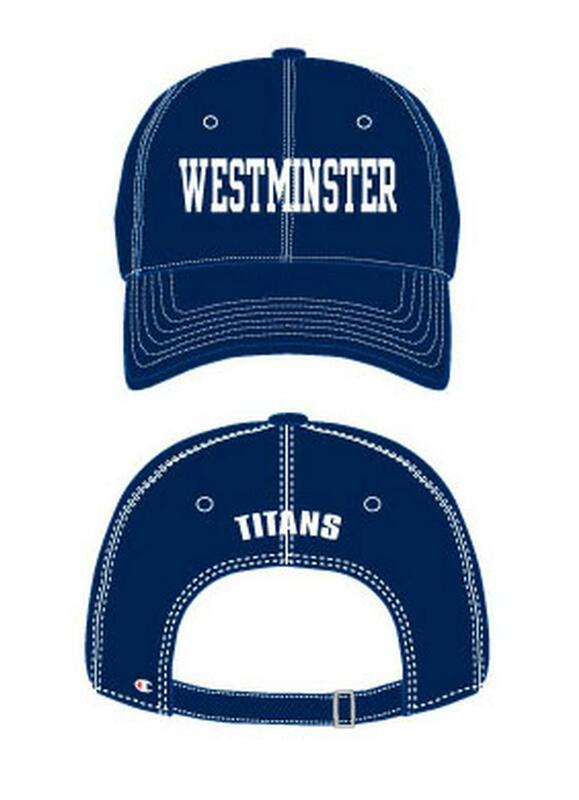 Westminster embroidered in white on front with Titans on back of cap. Adjustable velcro closure. Available in Navy.